Late summer was a great time for a visit to Windy City Harvest’s Legends South incubator farm. This summer, we hosted Katie Wilson, Ph.D., USDA deputy under secretary for food, nutrition, and consumer services (FNCS), who walked the entire two-acre site with us in Chicago’s Bronzeville neighborhood. Dr. Wilson marveled at all the organic greens—kale, collard, lettuce, and more—that eventually makes its way to low-income mothers whose young children are at risk for nutritional problems. Wilson mentioned that small-scale farming is close to her heart—her son helps lead operations at his college’s farm in Wisconsin. What prompted her visit is the unique approach the site offers in leveraging two USDA programs—the Beginning Farmer and Rancher Development Program (BFRDP) and the Special Supplemental Nutrition Program for Women, Infants, and Children (WIC). Windy City Harvest has partnered with Community and Economic Development Association of Cook County, Inc. (CEDA) for more than five years to distribute produce through WIC channels and is proud to now offer it as a channel for farmers. 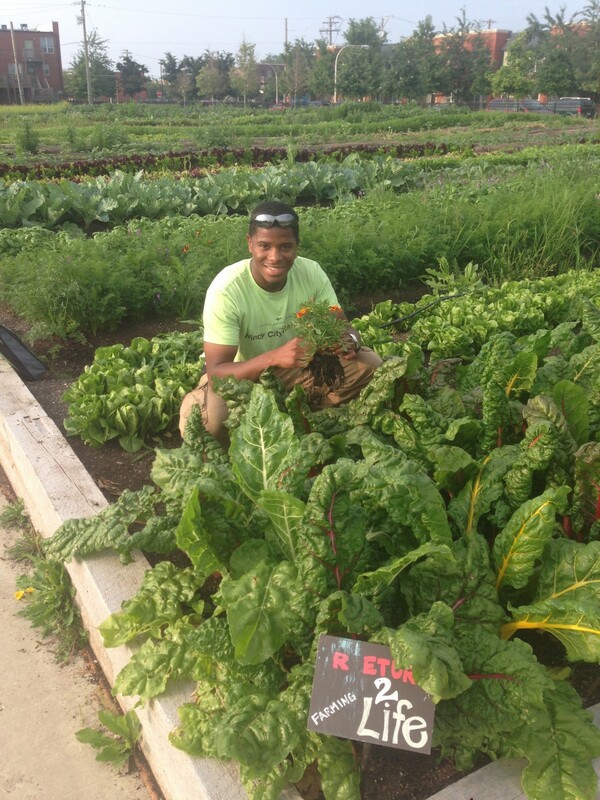 Farmers at the two-acre urban refuge grow an assortment of vegetables for WIC produce boxes, distributed to 95 families per week at various offices throughout the city from June through October. 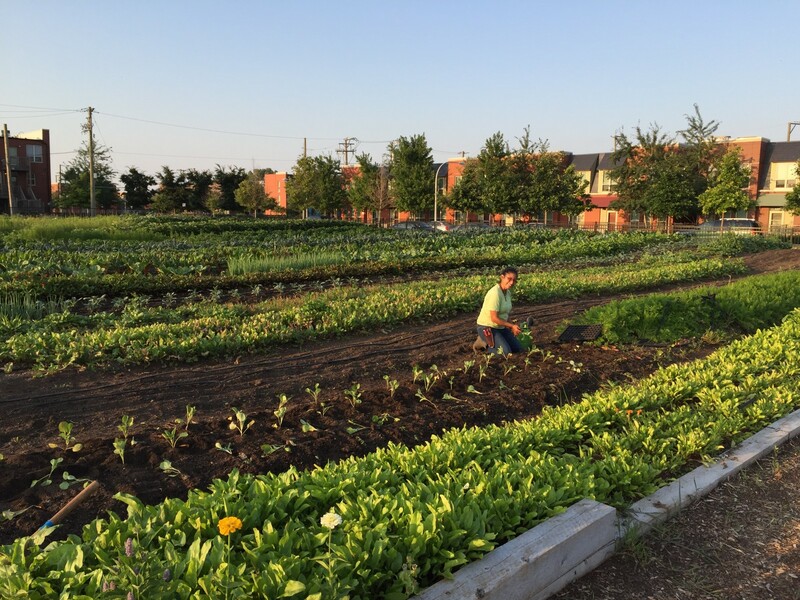 As part of a BFRDP grant program, the businesses receive necessary infrastructure and support from the Chicago Botanic Garden to help mediate the risks involved in starting their own farming-related business. An affordable lease of ⅛-acre ready-to-farm land, irrigation, tools and equipment, a processing area, technical assistance, and a guaranteed point of sale for their produce are provided under the grant. 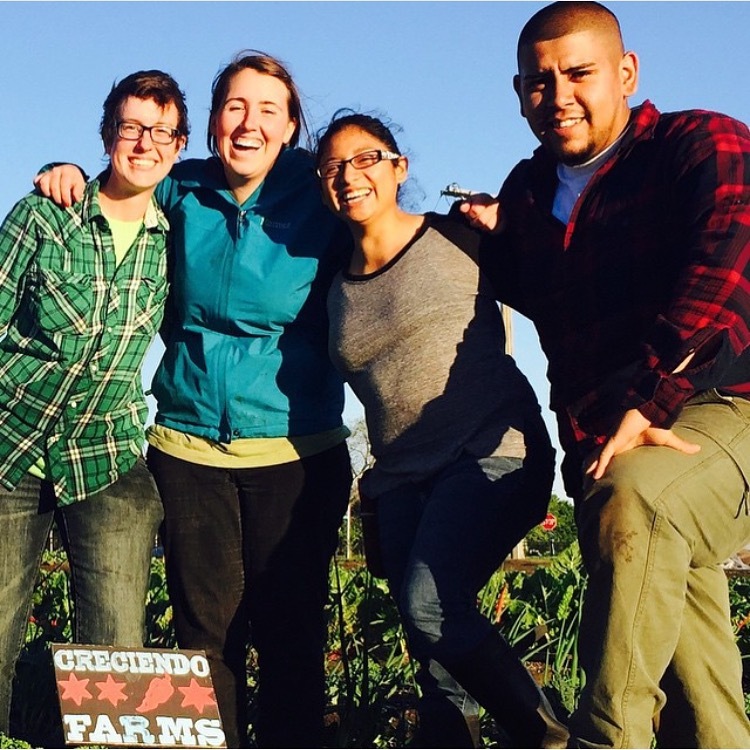 The BFRDP also funds industry-specific, 14-week courses created by Windy City Harvest in business and entrepreneurship, aquaponic production, season extension, and edible landscaping/rooftop farming. These courses are open to farmers looking to continue their education in this ever-expanding field of opportunity. The Garden is in its third year of the BFRDP program and has incubated 11 farm businesses; two in its pilot year, three in it first full year, and currently six in 2015. The farm businesses providing to WIC this year are Creciendo Farms, owned by Rosario Maldonado and Fernando Orozco of McKinley Park, and Return to Life Farming, owned by Stacey Kimmons of South Shore. Both farms have a deep commitment to the mission of WIC—to provide supplemental nutrition to low-income babies, young children, and pregnant and post-partum women. Fernando and Rosario both received WIC benefits themselves as children. They believe that farm-to-clinic WIC boxes serve as a great way to introduce families to fresh, local produce, while allowing farmers to serve their communities and build sustainable businesses.